We all know the humiliation of sending someone a Facebook message meant for another person, or the regret of an ill-advised retort sent too hastily. But those days could be behind us with the introduction of a life-saving (or at least reputation-saving) new feature. Facebook Messenger will now let you delete messages you've sent in a conversation. Tapping the message will cause two options to pop up: 'Remove for Everyone', which will cause it to vanish from the conversation entirely, and 'Remove for You', where only you will no longer see the offending comment. But there's a catch: you only have 10 minutes after sending the message to delete it. There is a serious downside to the feature that might put you off removing messages. Everyone else in the conversation will see that you've deleted something you said, possibly leading to more questions than if you'd just left it. Rumours of the feature have been circulating for months after screenshots from tests were leaked in 2018. Now Facebook has finally confirmed the new app update released on Wednesday (NZ time) will include message deletion options. The update is available for both iOS and Android phones, The Verge reports. Previously, Facebook creator Mark Zuckerberg was the only one with the power to delete his messages. The story broke in 2018 after his Messenger correspondents noticed some of his contributions to their conversations vanished over time. The social media giant later confirmed Mr Zuckerberg had access to the coveted feature for security purposes after the infamous Sony Pictures hack of 2014. 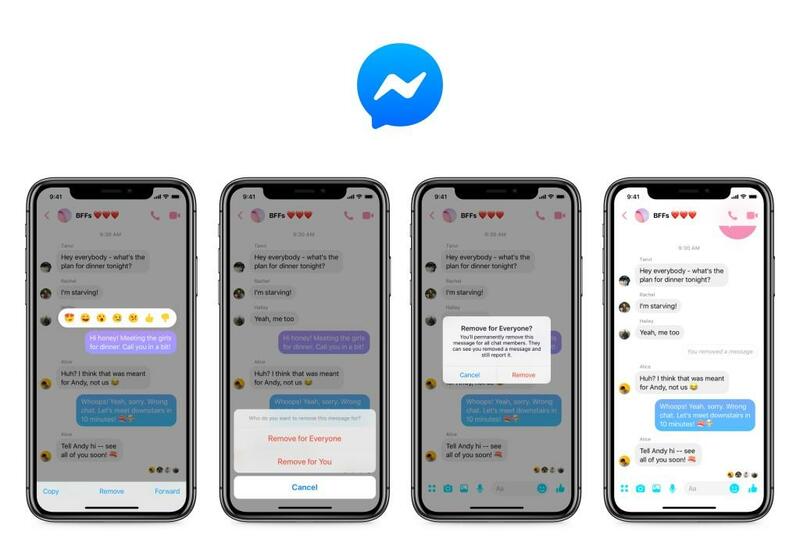 It claimed that doing so was in "full compliance with our legal obligations to preserve messages", but many people criticised the company for having a "two-tiered" system granting its CEO the privacy it refused its customers. Facebook is far from the first tech company to grant its users the ability to turn back time and unsend a message. Gmail allows you a leisurely 30 seconds to cancel an email you've just sent, while Microsoft Outlook also has a recall feature although it has some limitations.